An updated health handbook outlines techniques of concentration designed to reduce physiological stress and presents scientific data indicating the effectiveness of similar systems of relaxation. Reprint. 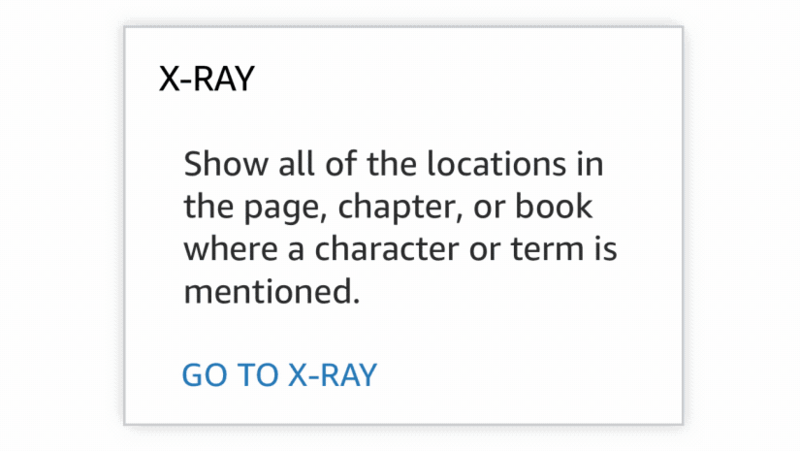 Start reading The Relaxation Response on your Kindle in under a minute. Describes a simple technique that can transform both the individual and society. Essentially Transcendental meditation for the masses who are intimidated by the Eastern mystic roots or cost. Elegantly explains a natural physiologic response that has been scientifically validated and universally applicable. Only scratches the surface of its benefits which go far beyond blood pressure control and feeling good. A must read for anyone interested in improving their health, happiness, well being, intelligence, intuition, compatibility, skills, and spiritual growth. I am a physician who regularly recommends this book to my patients but it is equally beneficial to the "healthy". I read the 25th anniversary edition of this seminal work on stress reduction, which was released in 2009. Obviously, that makes this an oldie, but it’s clearly a goodie as well. The new addition has a substantial introduction, providing updated information. The body’s “fight or flight” response to stressful conditions has long been recognized and it’s virtually a household term. 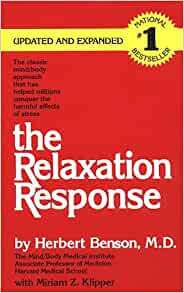 However, despite the equally alliterative name and the fact that Dr. Benson’s original book came out well over 30 years ago, the relaxation response remains a lesser known phenomena. 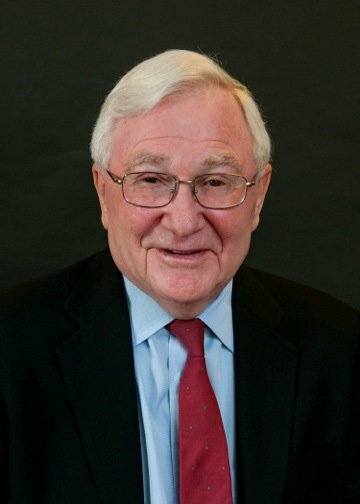 Decades ago, Herbert Benson, a Harvard physician, recognized that patients’ coping ability influenced their health outcomes--specifically with respect to hypertension (a.k.a. high blood pressure.) This led him to investigate how a state of reduced stress could be achieved, and whether this could have a positive impact on health outcomes. Benson and his co-investigators found that Transcendental Meditation (TM) could trigger the relaxation response, and from that they further uncovered specific aspects of TM that were generalizable in achieving this state (i.e. an object of concentration and a passive / non-judgmental attitude.) From this it followed that activities such as yoga, chi gong, walking, and some types of exercise could achieve the same physiological state as meditation. There was scholarly pressure to establish that the relaxation response was more than a placebo effect. In proving that the relaxation response didn’t hinge on a patient’s beliefs and that it had a predictable effect (and hence it was inconsistent with the placebo effect) Benson also realized that maybe doctors shouldn’t be so dismissive of the placebo effect—people were getting better, after all, and there was some mechanism by which that wellness was achieved that would be worth understanding. In the first chapter, Benson describes an epidemic of hypertension, the fight or flight response, and its opposite number: the relaxation response. The next chapter delves into the specifics of hypertension and related topics like cholesterol consumption. Chapter 3 makes a connection between stress and the proclivity to develop hypertension. 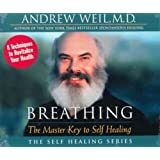 The following chapter lays out various approaches to achieving a more relaxed physiological state, including: biofeedback, yoga, zen, progressive relaxation, and hypnosis. Chapter 5 is about altered states of consciousness, and, specifically, the meditative state. Various age-old methods of achieving a meditative mind are examined. That’s followed by a chapter which lays out the results of relaxation response training in reducing hypertension and drug use. Chapter 7 is an explanation of how to achieve the desired state that generalizes beyond the specific approach of TM. The last chapter is a brief summary. I found this book to be both interesting and informative. It’s useful both as a practical guide to practice and an explanation of related information. I’d recommend “The Relaxation Response” for anyone who is interested in learned to de-stress. It’s a classic, and the new edition offers substantial updates. I understand why some say this could be shorter and why some say not. For those struggling with anxiety this could be an overwhelming read. Please read chapter 7 and nothing else if that is the case. If you are really wanting all the information given that's great but I wasn't really wanting a lesson on how stress effects the body. I am excited to actually start using the technique but wish the book would have been more about that. Like going through each point given about the technique and what could be used as a mental device. Like if you chose to "gaze" what would be a good thing to look at? I wrote out on paper the notes I need to actually do the technique because that's all I really wanted from the book anyways! I do think this has great potential and the entire book was an easy read but like I said for some could be overwhelming or even cause anxiety. 5.0 out of 5 starsI Recommend the Relaxation Response to everyone - this is one book you should read. This is a great book to learn about methods of controlling stress and perhaps relieving pain. I purchased the first edition in 1975 and this edition has been updated and should be a valuable asset to living. The Relaxation Response itself has worked for me for a very long time. There has been a great deal of research that has gone into this book and worth the read. One of those books that should be in everyone's library; has been on mine since originally published. We are always told, "relax." This book teaches how to relax and ultimately what it takes to sleep restfully. Good information but the techniques you are looking for are really in one or two chapters. If you are not aware of relaxation methods and the science behind it, then the book will be very informative for you. Wonderful introduction to mind/body medicine, this book helped immensely to take meditation out of the fringe “counter-culture “ and into the mainstream. It seems somewhat dated today, but its message is no less important today than it was when it was first published. As a Zen and MBSR teacher, this is not where I would start in learning about meditation, but for many people, it may be the right way to get started. 5.0 out of 5 starsExcellent read, and even better if practiced. Still relevant, if not more so, over 4 decades after the book first published. A great foundational book for any student of meditation who wishes to understand it from a scientific perspective. Content aside, I really liked Dr. Bensons writing style, eloqent and dignified.